Individualism and the Prosperity Gospel | what is stopping you? ← From “Affliction” by George Herbert. It assigns most of our hope on the current alleviation of suffering and none on the reward of faithfulness. At its core, the post fails because it fails to engage the duality of a loving God and a holy God. 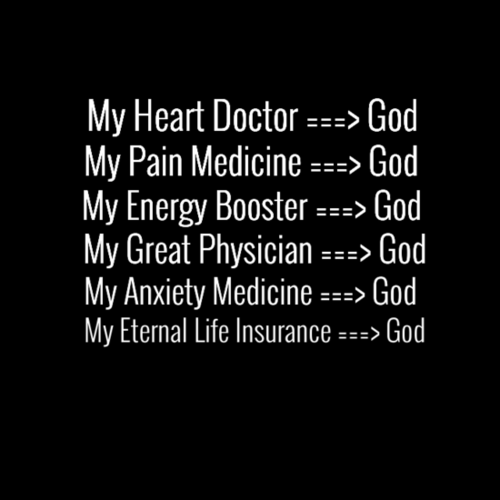 If God is all of these things, how can He possibly allow other people to suffer? The god of this post is entirely one-dimensional faith. The post merely confirms God to be powerless and nothing more than a cardboard cutout to hide our fears and anxiety. I may be using some very strong words, but that’s about as much substance this god would be. The post misses the centrality of Christ, while emphasizing the centrality of the self. It remains content on starting every statement with “me” at least 5 times, and proclaiming God as the solution. Faith is nothing like that. It doesn’t start from yourself and God is the solution. God is one who plants grace, the Holy Spirit is the one who changes us, Jesus is the one who mediates between us and God. Simultaneously, we feature as a central focus through which God does the work of salvation, but we feature very little as background to and instrumental God’s redemptive purposes. Our Christianity is bankrupt if God is only here to help us during the hard times. More than that, this Christianity doesn’t impact our lives in any way, we are not new creatures–it is a crutch merely to help us cope with life. A faith that only copes, doesn’t conquer the evil in the world but supports a blindness to the gaping wound of our depravity and selfishness. In all honesty, my life would be okay without Jesus. I don’t really need Jesus and I”m confident I could survive this lifetime without Jesus. But I do need Jesus, I can tell you that I need Him daily–on a eternal scale, though I am not conscious of it, God is holding up the world from chaos, and Jesus is holding me back from my natural self. The reason for this? Sanctification through justification, and glorification through regeneration. My point is, the flaw is to define the “sick” as only those who feel sick at that point in time. It is something like the 10 lepers who were healed, at which point, only one came back to Jesus to thank Him–it is clear the others were merely looking for an alleviation of an existential ailment. The point of all this is simply this: if we seek prosperity and earthly things, we will be satisfied by a temporary false joy that will only make us thirst more. That is not to say that we can receive temporary alleviation and respite, but they are consequences of seeking the Kingdom and God not primary goals. If we seek the Kingdom, we will find eternally immeasurably more. It upsets me that people would settle for anything less. The failure of chasing the God that merely the fixes of our fragile anxiety and fears is jumbled because God is not our slave. We are a slave to His love, and His grace, and more. The disappointing thing about a lot of Christianity is that it is comprised merely of motivational speakers and psychologists dressed up as sheep. Jesus isn’t around to “fix” all our problems per se. He is so much more–He revives us, as it says in Ezekiel, from a pile of bones. And all you care about is, “Oh, I need money to buy a house, I need more confidence to make friends, I am anxious about asking my boss for a raise, I need confidence to live the life that I deserve”. For all the power our words have, it is a colossal waste if we are to be serious about seeking God.I’m glad people are all about live a great life. But it steals SO much glory from God to make life about little pithy things without the bigger picture of what life transformation comes through the Gospel and the Holy Spirit. Simply, this life isn’t yours.